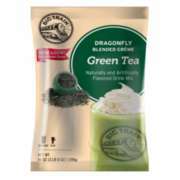 We are talking pure matcha green tea. It tastes like green tea ice cream in a smoothie. It is a perfect refreshing smoothie with all the health benefits (e.g. fat burner) and great taste of green tea. Available in 3.5 lb bags.